After insulting the legendary Paolo Maldini during his farewell match, Milan’s Curva Sud lost a lot of respect from people all over the world. Not that the people who make up the Curva Sud have ever been considered bastions of society. They are mostly ordinary people, with the distinction of being passionate and devoted fans of AC Milan. Human beings with a superhuman commitment to the club. And human beings make mistakes. But at what point are their mistakes hurting the club they claim allegiance to, rather than helping it? Are they so passionate that they’ve lost sight of their very fandom? Maybe they need to take a step back and figure out when showing up is more important than shutting up. For me, the Curva have always been this magical band of misfits, a bunch of extraordinary yet ordinary people coming together to worship our beloved team and creating mystical and legendary coreografia that is sometimes better than the performances we see on the pitch. While some may think they are more organized crime and less magical fans, they certainly are organized. They have meetings and plan their magnificent coreo and have opportunities to meet with players and club officials if they want to weigh in on something. They are at every match, rain or snow or whatever, singing and chanting and waving flags and banners for our beloved club, something most of us only dream of doing. It would be harder to find a group of fans more devoted to Milan. Yet sometimes passion and devotion go too far. Not only in the case of the Maldini farewell, where a petty axe to grind of theirs took precedence over the monumental moment, and they came out of it looking like horrible people. But at other times, too. At the beginning of the season, they were made an example of by the Lega Serie A for breaking the newly punishable “territorial discrimination” rule, and given a partial stadium ban. I thought that the way they showed up and protested their punishment was admirable. But singing the same chants again the next week not so much so. That earned the club a full stadium ban and a €50.000 fine. Luckily, the club was able to get it suspended for a year, but only based on good behavior. I’m starting to wonder if this lot know what that is. But I didn’t hate them for this, I disagree with Lega Serie A’s interpretation of UEFA’s guidelines, and especially their enforcement. 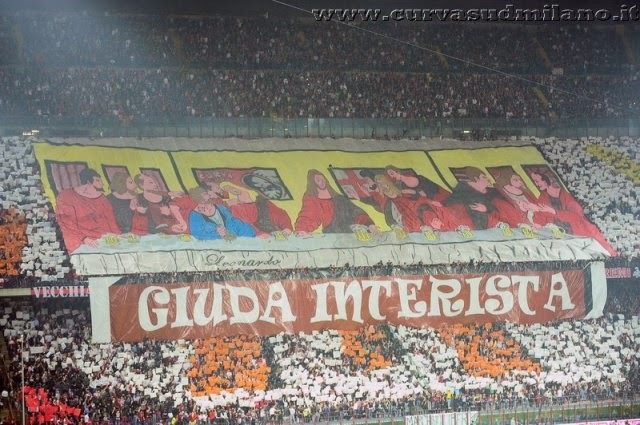 Although the Curva kind of lost me when they took it to the next level. While making a point is important, hurting the club kind of defeats the purpose. This season, their patience with the team was almost maddening, although incredibly admirable. I think many of us wanted them to speak out much, much earlier. But when they finally did, they took it too far, criticizing individual players, and holding not only our own team hostage for hours, but also the players and fans from Genoa, too. They threatened our team, saying they were waiting with sticks. All for 3 minutes with two of the players who had just played their hearts out for them. And what was said? They criticized a specific player who went to a club the night before a game and asked that the players be more disciplined in that area, etc. Even though their banners said they were angry at management, Allegri, the mercato, and more. All of that misdirected anger kept hundreds hostage. And they gained notoriety worldwide, too, not for making a point, but rather for their methods. Their messages were lost in the passion. Not cool, Curva. Much less organized, much more organized crime. One month later came the derby. Inter’s Curva Nord had earned themselves a partial stadium ban, and our Curva showed solidarity with them and met with them ahead of Inter’s appeal of the ban being accepted. 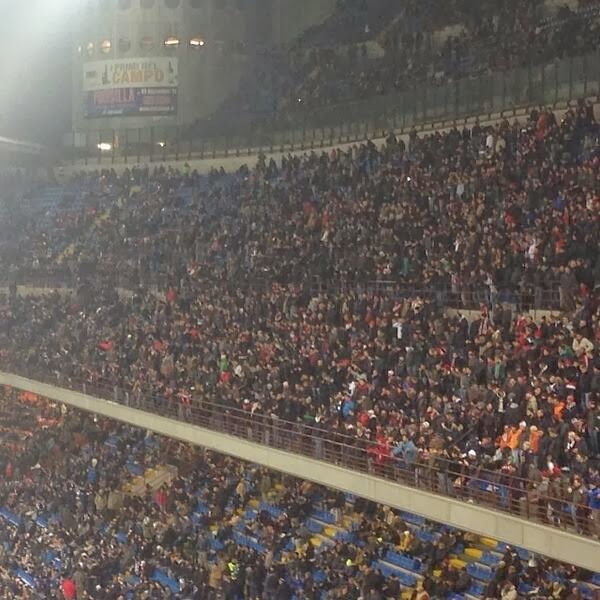 This was admirable, even if I personally would have preferred the empty Curva Nord, to be honest. And thus, both Curvas continued with their preparations of their coreografia for the legendary derby. 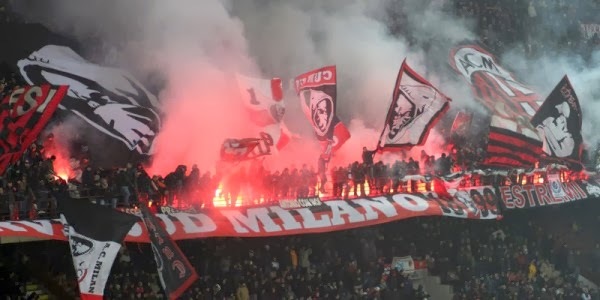 That is until the day of the match, when officials who had previously approved the Curva Sud’s coreo abruptly changed their minds and banned Milan’s banners and flags for the derby. Luckily, Inter’s Curva Nord responded with the solidarity they had been shown a few days earlier, and also didn’t bring their banners or flags. It was the weirdest derby ever. But at least the Curva showed up to support their team. Fast forward to the next match, this past Monday, when the Curva Sud staged a “silent protest.” No flags or banners, and no chants. I can only assume that it was in protest of the derby coreo ban, and maybe the Lega Serie A’s ridiculous disciplinary record this season with the “territorial discrimination.” But I don’t know. That’s how ineffective their “protest” was, I don’t even know exactly what they were protesting. And in doing so, they denied themselves the pleasure of celebrating Kaká’s 100th goal and Cristante’s debut goal for their club. You know, that thing they claim to support. But not only did they deny themselves, they also denied the team the support they so desperately need with such a difficult season. And with the games shown internationally, they made fools of themselves and the club they claim to love. What did they accomplish? 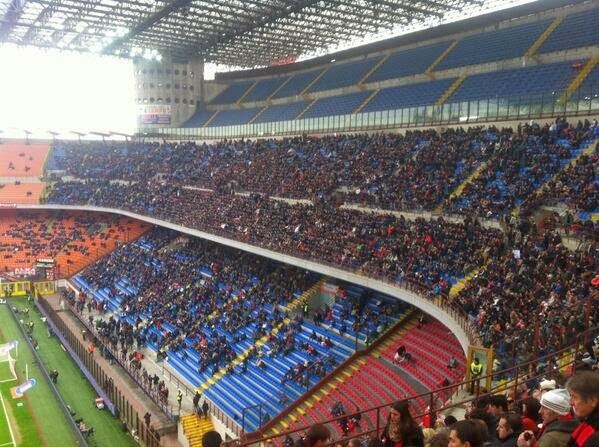 Did the Lega Serie A or stadium or city officials give one single care that they were silent? I doubt it. Not cool, Curva. Not cool at all. So as if this weren’t enough for this season’s episodes of fans behaving badly, yesterday, they announced that they will be boycotting the Sassuolo game because they feel that the ticket prices are too high. Under normal circumstances, I would applaud them on this. It is a noble cause, and they are exactly the kind of group who can make an impact on ticket prices and help to keep them low throughout Serie A. But this is not a normal season. Their team need them… desperately. If ever there were a time for the Curva to show up and show their support, that time would be now. And when you add their unimpressive record of ineffective and ridiculous behaviors this season, they are no better than the management or others that they have criticized. When making your point becomes more important than supporting your team, are you even a fan at all? When making your point actually hurts the team you claim to love so passionately, aren’t you then closer to organized crime than anything else? Why do you have to boycott the game? Why not show up with clever signs and banners to show the world that Sassuolo is gouging the fans? Why not use social media or other outlets to protest, while still supporting your team? Sure, the €35/person lines the pockets of Sassuolo’s ownership, but think of the long-term damage it could cost them in sponsors, etc. if everyone in the whole world could actually get your message. And you could still be there to support your team, too. In fact, you might be the thing that gives your team the edge and you could help ensure your team also takes 3 points from Sassuolo, who are not even guaranteed to be in Serie A next year to gouge fans. Sometimes showing up is more important than shutting up. Sorry, Curva, I just can’t support your actions on this one. You need to get over yourselves and realize that you’ve done more harm than good this season and start supporting your team again. Any other time, any other season, I could respect and support your boycott. But how can you abandon your team now, when they need you most, just to make a point? Together, you have great power. And with great power comes great responsibility. You call yourselves fans of my beloved club. I have very seriously considered moving to Milano just to have the opportunity to support my club every week like you have. To uproot my family, immigrate to a whole new country, learn a new language, find a new job, etc. just so that I can be there for my club. And here you are, with that opportunity and more, and you are abandoning my boys in their time of need. Vergogna. If I do make it there, I do not want to be associated with a group like you. A group who says they support their club, but have so lost themselves in the passion of it all that they have forgotten that showing up is the most important thing.